A good night’s rest is crucial to your physical and emotional health. Therefore, you’ll be wise if you invest in making sure that your rest is solid. The following are some ways that you can get a better night’s rest so that you can improve the quality of your life. Caffeine has the power to keep you up at all hours of the night if you don’t control your intake. Therefore, you need to cut down on the amount of caffeine you drink. Cut your intake down to one or two cups of coffee or tea per day. If you don’t want to cut down the amount you drink, you can stop drinking it at a certain time instead. Stop your coffee and tea consumption at about 5 p.m. so that you can wind down before bed. Do it so that you’re tired and ready to go to sleep when you lie down at night. When you eat, your body has to work to digest the food. The digestion process can keep you up or negatively affect the quality of your sleep. Eat your last snack or meal at 7 p.m., and you should be able to fall asleep at 10. Your sleep quality has a lot to do with your bedding and related products. Investing in a good mattress is one of the first things you should do for yourself if you want to get a good night’s rest. Shop for high-quality pillows at the same time, and you will double your comfort. 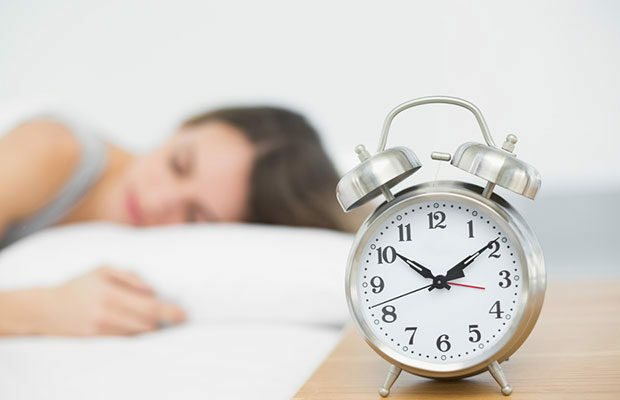 Melatonin is a productive hormone that helps to regulate several body processes, including the sleep cycle. You can take melatonin in pill form a few hours before you go to bed to reap the benefits. Smartphones come with advanced clock applications that can help you plan your day. Take advantage of them by putting your agenda in them and then sticking to it. Setting the temperature of your home to something comfortable can help you sleep, too. Your body’s discomfort will keep you up if it’s too hot or too cold. Therefore, you should set it to a nice room temperature that helps you relax. Listening to some soft music or nature sounds can help you relax and put yourself into a deep sleep. Alternatively, you can listen to the calming voice of an inspirational speaker. Finally, you can purchase special blinds from the store that keep the sunlight out in the morning. This will help you stay asleep for as long as possible so that you can wake up refreshed and alert. Start using the methods mentioned above right away, and you’ll see the difference in your sleep quality. Once you regulate your sleep, you’ll start to see improvements in other areas of your life. The post How to Get a Better Night’s Rest appeared first on Style Motivation.